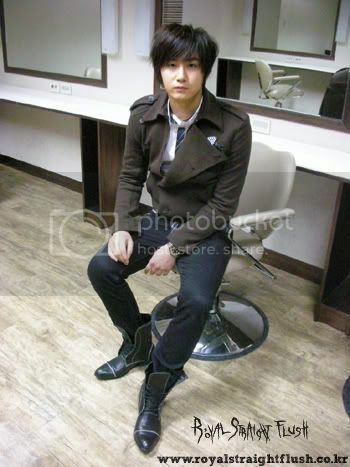 Heo Young Saeng's post on 17th July 5:56:32 PM, KST. "Hyung~ When I listen to Wings of the World, it's like talking about us..;;"
"Really..? Me too, I feel sad for no practical reasons.."
"That's why.. Seems like listening to that song will make you cry.. Especially the bridge part that hyung you sing..."
That world shining just like a small candlelight..."
For.. the.. sake.. of.. our.. dreams.. and.. for.. freedom.. of.. this.. world............."
"We can do it... Always... Dreaming.......... of our dream..................."
We... can... make... that... happen... can't we......."
Right until the end, grabbing onto the mike so tightly.. and tears trickling by..
Because I wanted to tell everyone.. The mike will be the item I'll spend my eternal lifetime with..
And.. there was this one sentence I wanted to say for sure..
"Imperfect stage...."...is he referring to all the things SS501 has not been able to do or to finish under DSP ? ...all their dreams...of " flying to the sky ". Oh ! How I wish DSP had made greater efforts, been more diligent in promoting them , had been more wise at the time of Leader's "Bday party case" and had given them a chance to produce more than one full album ......so maybe...just maybe, had been able to keep them together. I'm just talking with out knowing about any of the real facts concerning " the reason they are not moving ", the reason of Leader's move to Keyeast, the reason why the other four members have not made decisions yet.....just really worried about the unity of SS501, as all TS all over are....lets be patient to wait for updates on them....lets show our love and support to Young Saeng and all five members of SS501, we Triple S are still here for SS501...we'll be Triple S in our hearts for always. Photo credits as labeled, thank you so much ! btw, can you please tell me what is Leader's "Bday party case"? I saw Young Saeng really burst into tears on his bro's shoulder at SS501 concert while singing this song. The last link is the most complete. [maybe you'll find that you're aware of it already ??]. Ah ya…the birthday case….. I heard it before. When I learn about the incident, I was thinking why he has such a dreadful agency! Leader must be very disappointed on this case. Observing by his passed interviews, he is very respecting him, right? I’m new fans of leader and SS501. I love to come to your blog and read your thoughts. I just bought the DVD couple days ago and I have seen the concert finally. KJ & YS sobbed when they performed “Wings of the World” at the end of the concert. Too bad the dvd doesn’t have Eng/Chinese subbing. It only consists of Korean & Japanese subbing. My Japanese is not that good so I can’t fully understand why they were crying….. when YS explained it. Arrgghh...I wrote a long reply and it disappeared ! I thought you'd heard of the case, pinkymomo ! Thank you for liking my blog and reading my thoughts. I love making designs on BYJ,KHJ and SS501 for my blog. which is probably the reason he couldn't refuse when taken to the party. I don't have that dvd, it's so hard to get SS501 stuff here. 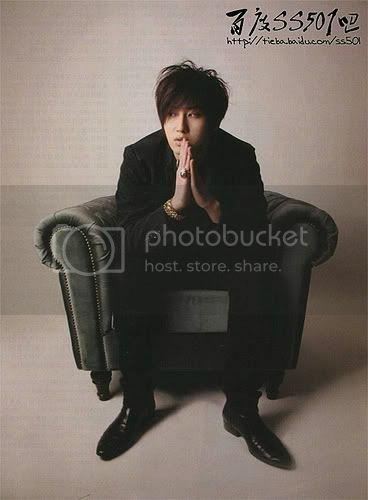 Me wishing real hard that SS501 will be able to stay together somehow !! So nice talking with you, pinkymomo..only another TS would understand how I feel right now. Leader did sacrifice a lot for DSP indeed. However, DSP seems didn’t appreciate him but hurt him so much. As you said, the incident could be one of the reasons he leave for KE……. 5years debut without 2nd full album, it’s unreasonable. Even HyungJoon also “yelled out” his resentful during x-concert. About x-concert, I’ve watched it for few times. I feel heartache for them, especially leader. I can see ….. He keeps drinking plenty of water, because he tried to hold back all his tears. Standing still and not dare to look at his brothers because he afraid of tearing. 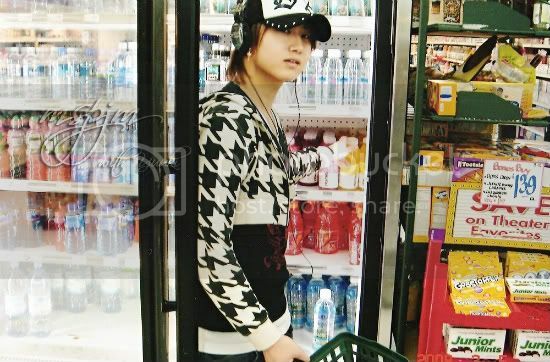 Same to you, I hardly can find SS501’s stuff here. Last week, I went down to Kuala Lumpur to find it and very lucky I found 2 set of dvds. Live in Japan 2007 and Heart To Heart. Both were featuring their promotion tour in Japan. The dvd consists of their interview after the concert. YS did explain why he cried at the concert. Too bad, I cannot understand well what he had said. Re his recent post at webby, made me feel depressed. What happen to them exactly? DSP is yet to announce anything. It’s nice to talk with you too because I have nobody to share out my feelings. Hope that you won’t feel that I’m bothering you. Oh, I feel the same as you about Hyun Joong...and I thought he was very near to tears at the X concert. He and Young Saeng was just barely holding it in...I think KHJ didn't look to much in PJM's direction for fear of bursting into tears there and then. JM was the most emotional of the 5....as always...he always shows more emotion and animation towards fans...I'm sure the situation really overwhelmed him...and Kyu and Baby...imagine what must have been going through their mind... already aware of Hyun Joong's decision.. Thinking about them being scattered in different corners of the earth, while watching their previous shows on youtube that gave us glimpses of their intimate hostel life, feels painful to me. I wish I were there supporting them from the start. All we can do is wish them the best.